The single most important thing you do in order to build a turnkey website solution is to choose an industry niche. It’s what I believe allowed me to be successful with my own turnkey product, and if anything it will make your life ALOT easier when it comes time to sell your websites to the world. The title of this post is backwards from how I’m going to structure the post itself. I will first explain why choosing a niche is super important for turnkey websites, and then I’ll dig in to how to find a niche that works for you. The day that Squarespace advertised at the Super Bowl was the day the low-cost do-it-yourself website platforms became a widespread commodity. Now that Wix and WordPress.com have joined the mass-market advertising fray there’s no end in site. You could let this fact intimidate you and lead you away from building your turnkey website solution. After all, why would someone go with your solution if they could get started for free? On the other end are the boutique web agencies that promise an exclusive design, custom features, content production, marketing funnels, and the personal care and attention many businesses need. But of course that comes with a premium price that many small businesses can’t afford. Again, you may shy away from offering a turnkey solution because of this. After all, you need to be profitable. It seems charging premium prices for premium websites is a great way to do that. Yet we’ve already discussed how this may not be the case. A turnkey solution can be the badly-needed middle ground between these two extremes. But in order to make it successful you’ve got to narrow your focus to a niche. A common misconception is that by narrowing your focus to a very specific industry or client type, you’re going to lose out on customers who don’t fit in that niche. It’s been written about time and time again that focusing on a niche is a great marketing strategy. I’m not going to go in to all of the reasons why here. Suffice it to say, it’s well accepted that niching is a successful strategy when you don’t have the budget of the mass-market brands. This is especially true in highly competitive fields. And let’s be honest, web design is a highly competitive field. The aforementioned cheap do-it-yourself-ers have the mass market on lock. There’s no way you’re going to compete with their big budget commercials. So you’re already starting at a disadvantage if you don’t narrow your focus. Plus, you don’t WANT everyone as your customer. You want people that appreciate what you and your turnkey platform have to offer. That’s why finding a niche is important. But how do you know what niche to focus on? What do you have that those mass market website builders don’t? It’s that sack of neural synapses between your ears. Your brain houses your thoughts, your personality, and your years of experience. This is the gift you bring to your clients, and the exact thing that will differentiate your turnkey service. It’s especially important to choose a niche that you know inside and out. You want to present a solution that speaks to your audience. Show them how your solution is the one to solve their problems (and it’s super affordable to boot!). In order to do that, you need to KNOW what their problems are. A turnkey solution is a great supplement for an existing “tribe” brand, like a podcast, blog, or other online community. An existing niche audience trusts you as their expert and will jump at the opportunity to use a product that you’ve made “just for them”. I had a podcast and blog focused on my niche market before I launched my turnkey service. So when it came time to release the service, I received dozens of signups right off the bat. If you don’t have a tribe, that’s okay. You can still tap in to your knowledge of the niche to build a great solution. But you should really consider building a niche community of like-minded people, it makes selling your turnkey service virtually effortless. Now that we know a niche is important, it’s time to make sure our niche is a good fit for this type of service. Do-it-yourself-er – In order to ensure your turnkey websites remain profitable, you’ll want to hand as much of the website building process as possible to your customers. The less hand-holding you need to do, the better. In that regard, your audience should be somewhat tech-literate, or at least not afraid to dive in and get their hands dirty setting up the site and inputting content. Tight budget (but not cheap) – The big appeal for your client is the price of your turnkey service. 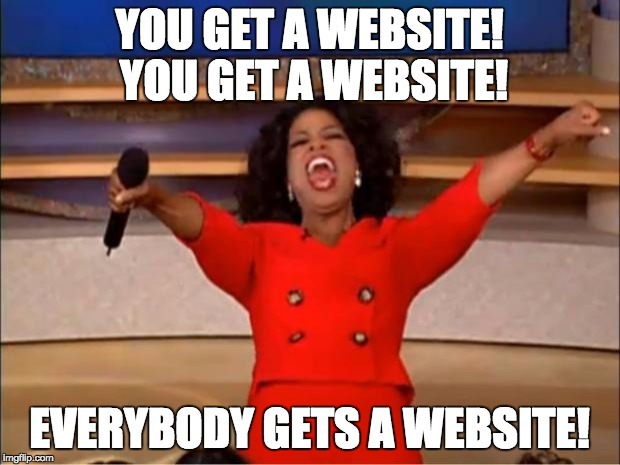 Lets face it, if they can afford a custom built website, they will go that route. Your ideal client will not be able to afford a custom solution, but will understand that their particular industry has unique needs that must be met by their web solution of choice. Industry, not identity – You’ll have better success by targeting an industry niche rather than a “personality” type of niche. For example, you want to sell websites to animal shelters not pet lovers, churches not Christians, and yoga studios not health nuts. An industry has clear functional needs for their website and is willing to invest in a good solution. I wouldn’t worry about whether or not there are “enough” people in your niche. We live in a globally connected world. If you’ve worked with more than one of these people, there’s a good bet there are thousands of others just like them out in the world. The beauty of targeting a niche is that your message will be so focused on solving your tribe’s problems that THEY will have no choice but to find YOU. That is as long as your messaging is clear (we’ll get into that in another post). Cleaning services – I was recently looking for a cleaning service and let me tell you, the websites were horrible. What are the costs? What can they clean? Where is a before and after photo? This is a great example of an industry that needs help in showcasing the right information, but may not have the cash on hand to purchase a custom solution. Food trucks – Food trucks run on a tight budget because they only have a narrow window to sell food, and they can only serve so many people at once. Yet it’s imperative that they have an online presence and often a twitter page isn’t enough. Wouldn’t it be cool if you could see a map of all the places they’ll be stopping throughout the week? What about a form to fill out to hire the truck for an event? This is all custom functionality that the mass market guys don’t have. Wedding DJs – Weddings are a competitive niche and DJs are often competing against a slew of amateurs and iPod pushers. A professional website with playlist examples and pictures of past events would be a great way for them to stand out from the crowd. Yet most only do this part-time, so they don’t have the budget for a custom solution. On the plus side, they’re most likely a hands-on type of person and would probably love a solution where they can do a lot of the work. Now that you know what makes a good niche, start thinking about some of your recent clients. Are any of them in a niche that fits the above criteria? Or maybe you recently had to turn down a client because their budget was too low. BINGO! Reach back out to them and ask if they’d be interested in being a beta tester for your new project. They wanted to work with you in the first place, so I suspect they’ll jump at the opportunity to do it again. Let me know once you’ve decided on a niche, I’d love to hear about it in the comments below! Thanks for your posts! I like the way to talk about solutions for each niche. I’m making a turnkey for the children’s industy, but still thinking about specific solution. Hi Roos, sounds like a good niche to me! The best way to think through your solution is to talk to people in that industry (your potential customers) and ask them what they are frustrated with about their current website. I’m thinking of a few potential ones: Chinese martial arts schools (I’ve been training and teaching for over 25 years so I’m familiar with the niche), Non-Profit organizations based in Hawaii (I’ve worked with a few NPO’s where i live in Hawaii and they are always on a serious budget — had to say no to a few of them in the past for full site designs), and Coffee Shops in Hawaii (mainly because I’m constantly working out of coffee shops in Hawaii and feel like I know what they need because I’m their target demographic — plus I was thinking about creating a website that reviews and shares information about all the various coffee shops around the islands, so this could be a good project related to that). I’m a fan of the first and third choices. The clients in those niches will all have similar functional needs and should be easy to target with focused marketing. Stay tuned! Some good stuff coming very soon. I have a question regarding picking a niche for waas. I have experience in a few industries as I have been designing websites for 10 years. The ones I see as easiest entry points are ones like salons, preschools and training companies. Do you just pick an industry you are comfortable with or do you need to keyword research to see which would be more viable? I don’t think keyword research will do much to help validate a WaaS niche. How well do you personally know the niche? Are the people in this niche going to be up for building out their own website? Is this a niche that typically can’t afford a full custom website? Is there something you can include in your turnkey for this niche that isn’t available in a similar product like Squarespace or Wix? Are there any other turnkey website platforms in the niche?